Since it was released on July 6, 2016, Pokemon GO has been an almost freakish success. Arguably, it will change the world of video gaming forever. One of the owners and huge beneficiaries of all of this is Nintendo which has already added nearly $20 Billion dollars to its market valuation. While the stock will undoubtedly come back down to earth, business people who ignore this phenomenon do so at their own risk. Did you realize that the game is #1 on the Google playstore outdoing such massive applications as Facebook, Snapchat, and Instagram, virtually overnight? And it has already surpassed Twitter in terms of daily users. Pokemon GO has invaded nearly aspect of our lives. 15 of my 17 Grandkids are obsessed. I have learned so many new terms in the last two weeks, my mind is spinning – Gyms, Pokestops, Incense, lucky eggs, lures, levels, and characters like Pikachu, Eevee, Ditto and Electabuzz. Many of my readers are probably not Pokemon GO players, so what is this craziness? Pokemon, of course, is the popular game franchise launched over 20 years ago by Nintendo. 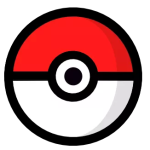 In the game, “Trainers” search for Pokemon creatures which in turn do battle with each other. But today’s iteration of Pokemon, is not a deck of cards nor a game for the Nintendo console. Rather it is a free download for your Android and iOS smartphones which spawns these critters in the real-world by using your phone’s GPS system. It is essentially an augmented reality game where you are present in the real-world surrounded by a series of monsters that “augment” or add to your present-day environment. These are all pictured live on a simple map on your phone that shows exactly where you are in the real-world. Interestingly, if you’re at a park in the real world, bugs and different grass types will appear on your smartphone. If you are by a lake, Water Pokemons become much more prevalent. The game and it’s locations are so captivating, that those of my Grandkids that live in the mountains of Utah are specifically requesting that I take them to a vacation at the Beach so they will have greater access to water creatures. IT WON’T BE THE LAST. GET READY FOR THE ONSLAUGHT. 1. Augmented Reality is here to stay. How can you implement this in your business? How do you give customers access to your products and services via a reality that is virtually augmented? 2. Always watch for a confluence of industry trends. PokemonGo is taking advantage of the massive move to Apps, Mobile, Social, Gaming, Augmented and Virtual Reality, and, oddly enough the Exercise movement. 3. Take advantage of stuff people do everyday like walking. POKESTEPS are massively important to the game, and it’s actually great to see the kids getting off their rear-ends and moving around again instead of sitting in front of a game console. 4. Nostalgia – Stuff that was once popular can be so again if properly resurrected. What older franchises or branding opportunities could be reignited in your company with the proper implementation? 5. People love competition – Pit people against one another in a friendly, non-threatening environment, and they love it. What is it about your products or services that can be engaging in a competitive way? 7. 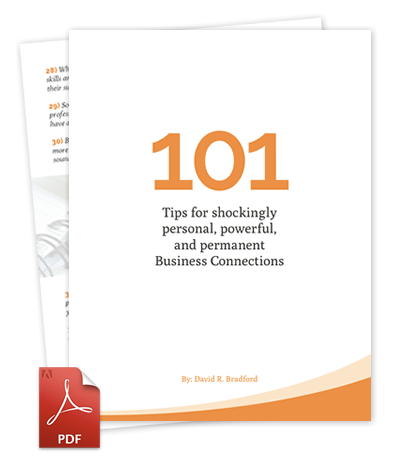 FREE – what can you offer as a Company for absolutely free that will drive traffic to your company and its website? Eventually, people will be laying out real dollars to give themselves a competitive advantage in Pokemon Go but initially the download costs absolutely nothing. Think too of the advertising possibilities! 8. Keep things Simple. Use of the Pokemon App is easy. No prior knowledge of the Pokemon brand and characters is really necessary. By the way, just to be clear, not everything is good about the game. It can wreak havoc with your phone’s battery life, and be sure to look up occasionally while playing the game lest you walk right over someone else not moving so quickly directly in your path. I will add that all of this is great news for one of the companies in which we are intimately involved – it’s our Virtual Reality company for language learning known as FluentWorlds where people can learn a language while walking through 50 or more virtual environments from the comfort of their smartphone. Yes- Pokemon GO is undeniably a massive social explosion of epic proportions. The wise business person will examine its success carefully and learn from it. Wow great way at looking at it! !